You might have the most comprehensive car insurance policy a U.S. company can provide, but when it comes to driving in Mexico, your U.S. car insurance will not cover your liability for damages or for injury to other drivers. You must purchase a Mexican car insurance policy if you want to avoid the high cost of an accident or even a long stay in a Mexican jail. 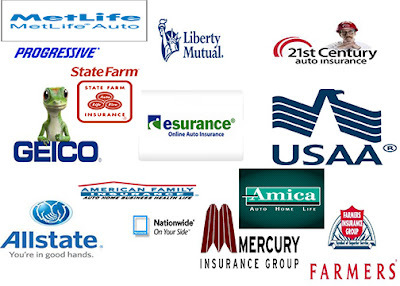 Your U.S. car insurance policy has several different types of coverage. The liability coverage of your U.S. car insurance policy will have absolutely no legal bearing in Mexico. This means if you were involved in an accident in which you injured another driver or his vehicle, you would be uncovered and possibly arrested if you didn't have Mexican car insurance. Your U.S. insurance company might be able to offer you collision and comprehensive coverage for possible damage to your own vehicle, but this is unlikely. Your insurance company can provide specific information. Auto liability insurance is not required in all parts of Mexico, neither for Mexican drivers nor for U.S. drivers. So even if you are not at fault in an accident, you could end up without a way to recover damages unless you have purchased your own policy. If you are at fault in an accident, you will likely be detained by the police until they have determined you can make payment to the other party. You can purchase an insurance policy that includes legal assistance and bail coverage so you have assistance if you are detained. If you are driving a rental car across the border from the U.S. to Mexico, you can purchase collision insurance coverage from the rental car company. However, whether you are driving a rental car or your own car into Mexico, you must purchase liability insurance from a company that is licensed in Mexico. You can purchase coverage at the border or online before leaving for Mexico. You will need to purchase liability insurance that is specifically for foreign-plated cars, also called tourist car insurance. If you are involved in an accident in Mexico, you and the other party may decide not to call the police. Many minor accidents in Mexico are settled between the parties. However, you will not be covered for damage to your car unless you contact your insurance adjuster. If the damage is severe or if there were injuries, most Mexican insurance companies will send an adjuster to the scene of the accident to view the damage, to interview witnesses and, if necessary, to confirm for the police that you have coverage. You may be required to remain at the scene until the adjuster arrives, so be sure you understand the details of your policy. Consider using the A.M. Best U.S. ratings as a way to evaluate Mexican insurance providers. Look for a company with a rating of A or better, which means the company has an acceptable level of risk. Make sure the company has a strong infrastructure in Mexico with offices in the areas you will be visiting. If you need support, legal counsel or assistance with bail, you want to know the company has agents nearby.